SANTA CLARA, Calif., (April 5, 2019) – Leading video game developer and publisher, BANDAI NAMCO Entertainment America Inc., today announced that SUPER DRAGON BALL HEROES WORLD MISSION has officially launched in the Americas for Nintendo Switch™ and PCs via STEAM®. SUPER DRAGON BALL HEROES WORLD MISSION is a tactical RPG card game and is the first Dragon Ball Heroes series title to be released outside of Japan, challenging Dragon Ball fans in the Americas with its stimulating and strategic card battle gameplay. Rated T for Teen by the ESRB, SUPER DRAGON BALL HEROES WORLD MISSION is available for purchase now, in the Americas, for the Nintendo Switch and PCs via STEAM. 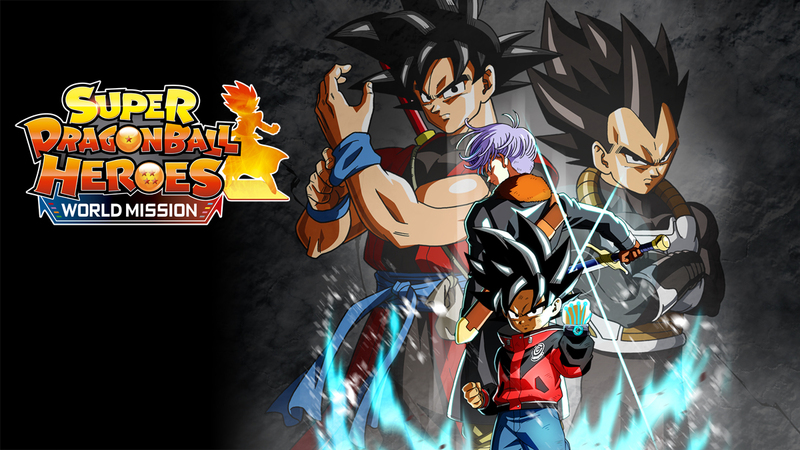 For more information about SUPER DRAGON BALL HEROES WORLD MISSION or other titles from BANDAI NAMCO Entertainment America Inc., please visit our website, follow us on Facebook, or join the conversation on Twitter.